For Sale 3 lots of land! 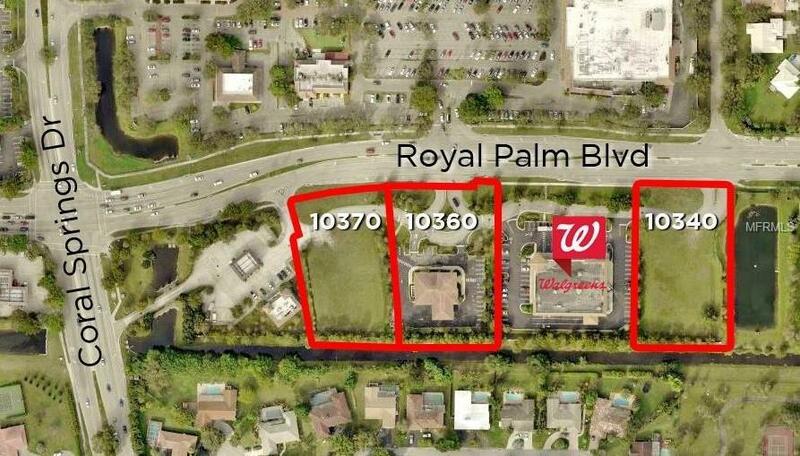 Lots are located at 10340, 10360, 10370 Royal Palm Blvd. They can be sold together to separately (Lots 10360 and 10370 can be sold as a unit as well). Lot 10360 has a building that is currently rented. All 3 lots together are +/- 3.48 acres.